Here's to a Strong 2012! As 2012 begins, Richir Outreach is taking a moment to reflect. It's been a busy year for us! In addition to all the work we’ve done for our clients, we’ve also given our own website a complete redesign, and welcomed several new members to our team. We’ve really enjoyed all the work we’ve done this year, and are proud of our ever-expanding portfolio and all of the clients in it. Most of all we feel honored to have been a part of so many important advocacy efforts in North Carolina and across the country. Our passionate clients and the causes they advance are what motivate us to get out of bed in the morning and work hard. So, we want to thank you for using Richir Outreach for your online campaigning, fundraising and communication strategies. We look forward to working with you in 2012. Read more about Here's to a Strong 2012! Worried that something is wrong with your web page? Are elements loading oddly or not at all? Don’t panic! There are a few easy fixes that might solve your problem in a snap. As you browse the Internet, your web browser downloads elements of the web pages you view often and stores them on your computer in a cache. This was designed as a way to improve your browsing experience - your web browser accesses the cache on your computer instead of the server so that your page will load faster. 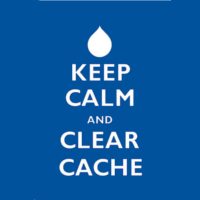 However, if you are making frequent changes to a web page, this same caching mechanism can sometimes cause confusion. Some changed elements on your page may load and some may not because your browser is still using the older, cached version of your site rather than your updated version. Even after a normal refresh in the browser your page may still look wrong. Grassroots and community organization is as old as our country. The American Revolution, abolition, social reform, women’s suffrage, and civil rights all started out as organic movements sprouting from the community. In 1912, Indiana Senator, Albert Jeremiah Beveridge, said of the newly formed Progressive Party that "This party has come from the grass roots. It has grown from the soil of people's hard necessities." That’s what it means to be grassroots. A need germinates in the hearts of the people to the point where the people can no longer sit back and be silent. Something needs to happen and somebody, some people, need to step up to the plate. That’s what gives birth to change. That’s what Action NC is all about. I just went to a great presentation by Raleigh AIGA and Viget Labs about web design tools and processes. It was a great presentation and discussion, and it really got me thinking about how we build relationships with clients and get them the best product possible. To create a Google form, you of course need to have a Google account. From your Gmail account, click on Documents in the top navigation bar. Next, click on [Create new] and select form. Fill in the information for your form, including title, text or instructions, questions, etc. To add more questions, click on [Add item] and select what you would like to add. In this dropdown, you can also add section headers and pagebreaks if you have a large amount of data to collect and need to make it feel more organized. You can always go back and edit or add questions, so don't worry if you're not sure what you want on the form. Drupal allows you to define actions that will occur when specific system events occur. Those system events are called triggers. With some code you can add new triggers. A default trigger is "New content submitted." That was too broad for my need, so I added a trigger "New content of type blogpost." I found the instructions I needed at Scott Hadfield's blog post, "Creating Custom Triggers in Drupal". The code below is a copy of his with one a simple change. Scott's cck content type is "script" and his module is also called "script." That is really confusing. NationBuilder is a unique nonpartisan platform for organizing, bringing together a comprehensive suite of tools that today's leaders and creators need to gather their tribes. Read more about How is NationBuilder different? NationBuilder uses Embed.ly, a service that lets you embed media with only a URL. That means no crazy embed code to fuss with, just the URL from your browser's address bar. That also means that you have limited control over the size of your media, especially videos. But what if you want to make your video bigger or smaller? We've got you covered. 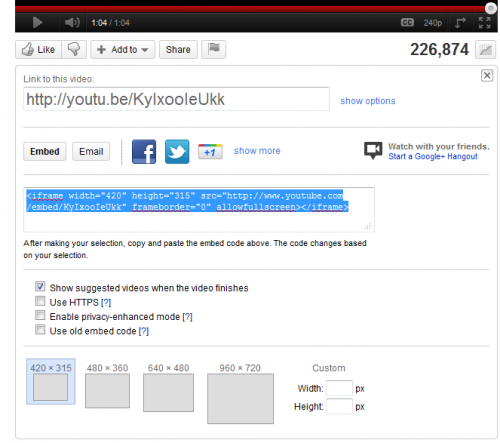 NOTE: this tutorial explains how to add a YouTube video before or after the main content of a basic HTML page. To add your video to a different type of page or in a different place on the page, you'll have to dig a little deeper in the template. Create a basic HTML page and add whatever content you would like in the Content tab. Don't add your video URL just yet, but go ahead and save your work. You might notice some differences between style sheets in NationBuilder and in platforms like Drupal or WordPress. This is because NationBuilder uses an extension of CSS3, called SCSS, or Sassy CSS. This extension (with files ending with .scss) allows for concise styling that is still very similar to and works alongside traditional CSS. If you are ready to dive in with CSS3 and SCSS, take a look at this site for tutorials and more. If you need an introduction to traditional CSS, check out Design*Sponge for a great guide. This article uses a WordPress site as an example, but the same CSS will work in NationBuilder. Pretty great, right? As always, I'm a total CSS nerd and would love to help you out with your design and styling. The best part? Help is just a couple of clicks away!